Our understanding of ADHD has grown remarkably over the last decade. Dr. McCarthy will provide an up-to-date synopsis of the most exciting findings from neuroscience, brain imaging, genetics, and treatment studies. This critical research impacts diagnostic criteria, treatment options, and future expectations for children with ADHD and related disorders. 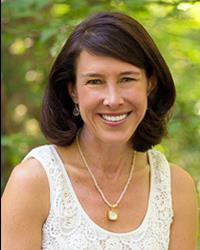 Dr. Catherine McCarthy is a board certified Child and Adolescent Psychiatrist in private practice in McLean, Virginia. She specializes in the treatment of ADHD, developmental disorders, and pediatric anxiety disorders. She has served on the Executive Council of the Child and Adolescent Psychiatric Society of Greater Washington for nearly a decade. She lectures at national CHADD meetings, numerous area schools, our local medical schools, as well as the University of Virginia. Dr. McCarthy has been named as a “Top Doctor” in Washingtonian magazine for the past 12 years.